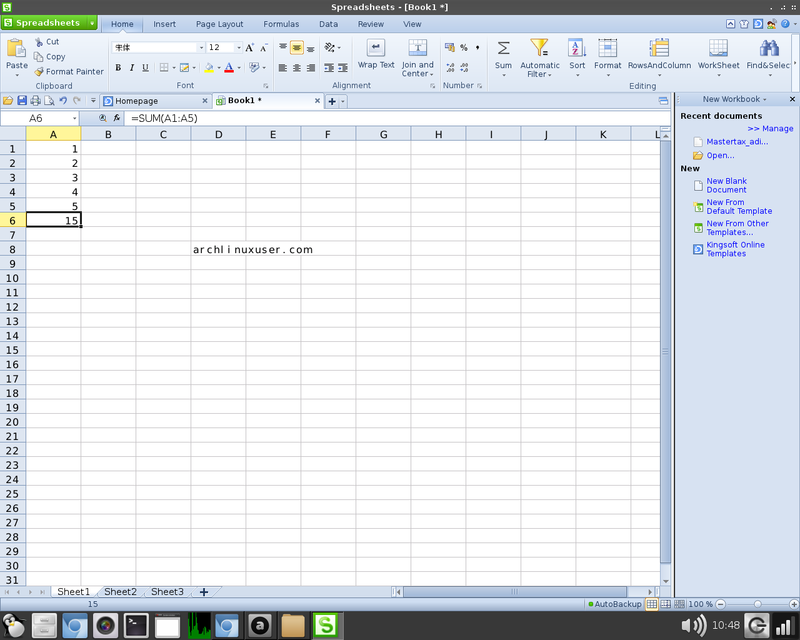 WPS office for Linux is free office suite, which includes free word processor, spreadsheet program and presentation maker. These three programs help you deal with office tasks with ease. 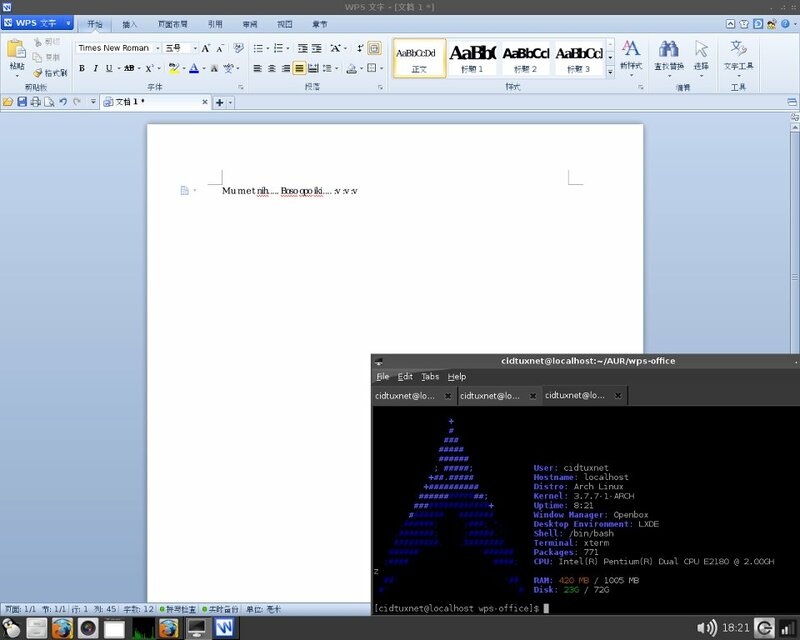 On ArchLinux WPS Office is is available through AUR repository. You can install it using PacmanXG4 or Build from AUR link. After Install it, then running it. By default it's using chinese Language. Then Restart the wps-office. 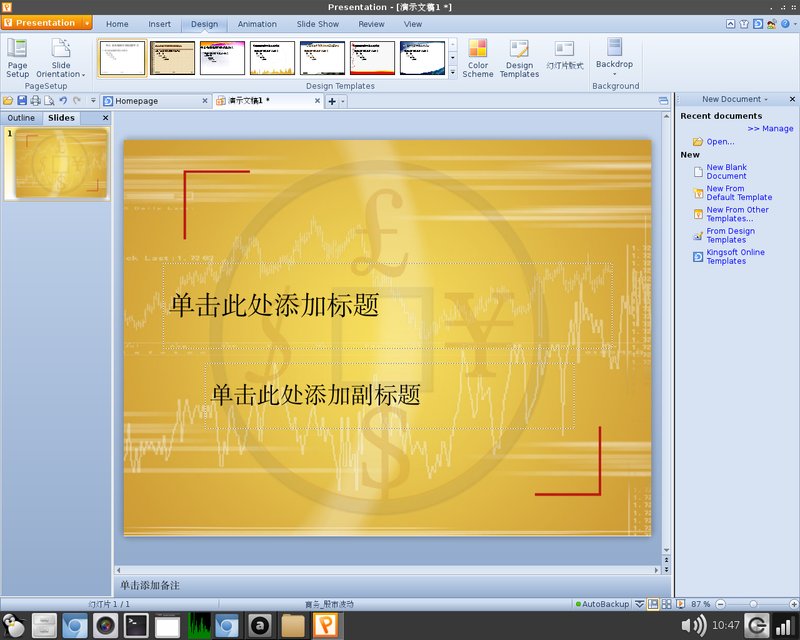 Now wps office will be using english language, although not all is converted to english, but looks better. Here's the main apps of Kingsoft / WPS Office. 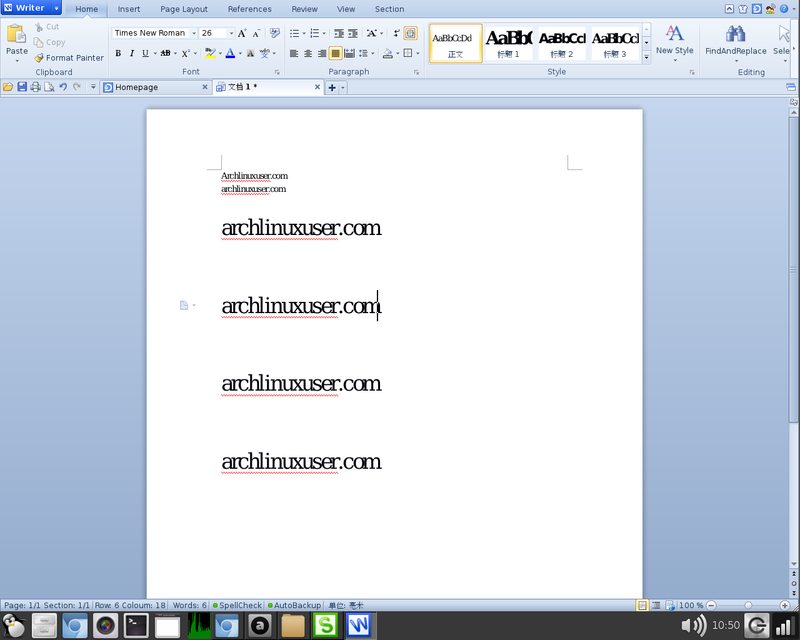 okay, that's it, enjoy Kingsoft / WPS office beta on Archlinux. If you have android devices, there are Kingsoft office Apps too on Play Store.